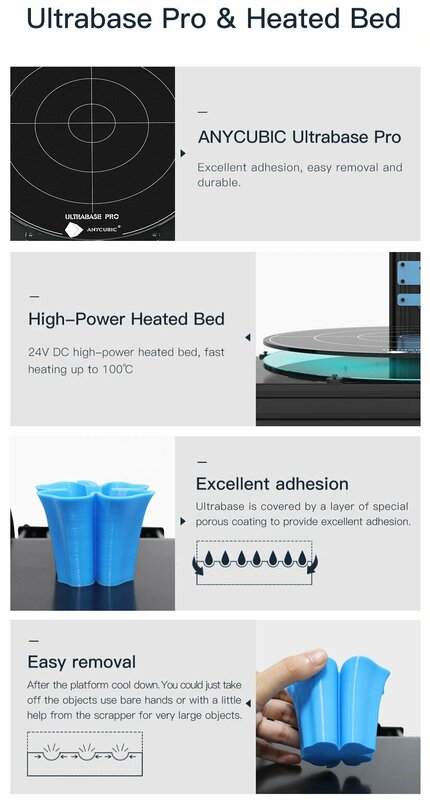 The Anycubic Predator has an all solid metal frame and a heated print bed. Automatically detects 37 points for easy auto leveling. Supports real time adjustment of Nozzle height. Amazing Huge build volume 370mm D and 455mm H.
Flying Extruder: Good retraction without stringing/friction. Making momentum shifts much easier. Able to achieve high print speed. Better results on Flexible filaments. Interactive Full color touch screen for a more intuitive user experience.